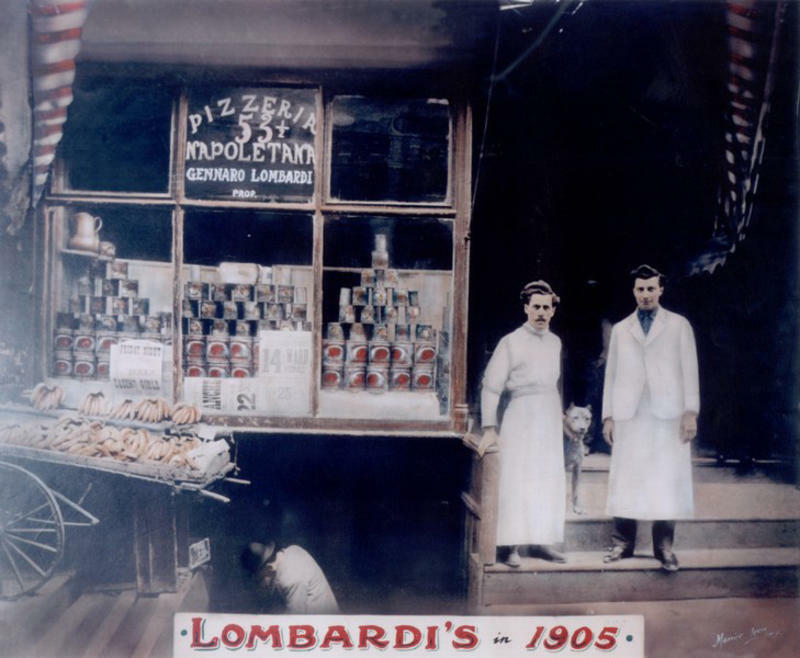 Gennaro Lombardi, who was operating a bakery and grocery on Spring Street in Little Italy, began selling the first pizza in 1905. 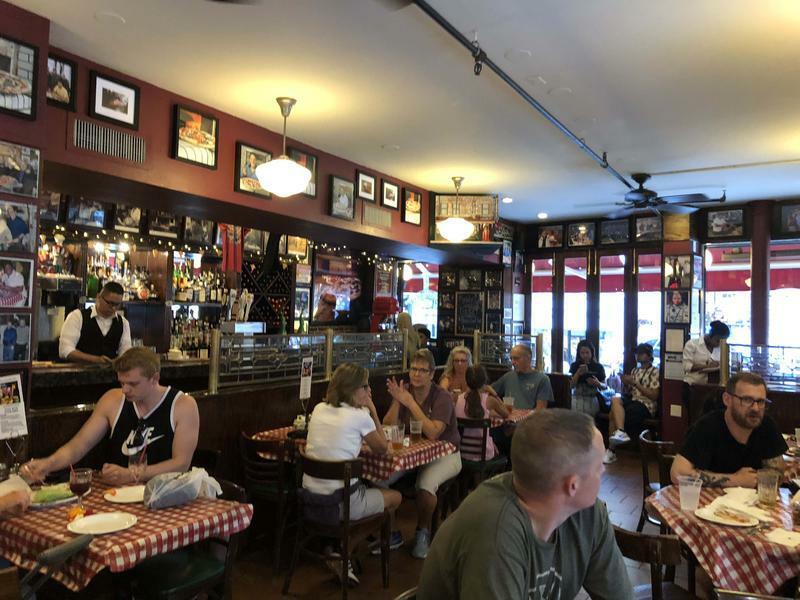 His pizzeria is still standing at 32 Spring St., on the corner of Spring and Motts Streets, just a few blocks from his original location at 52 ½ Spring St. and is the oldest pizzeria in the US. Gennaro Lombardi felt the future was in pizza and followed his dream. 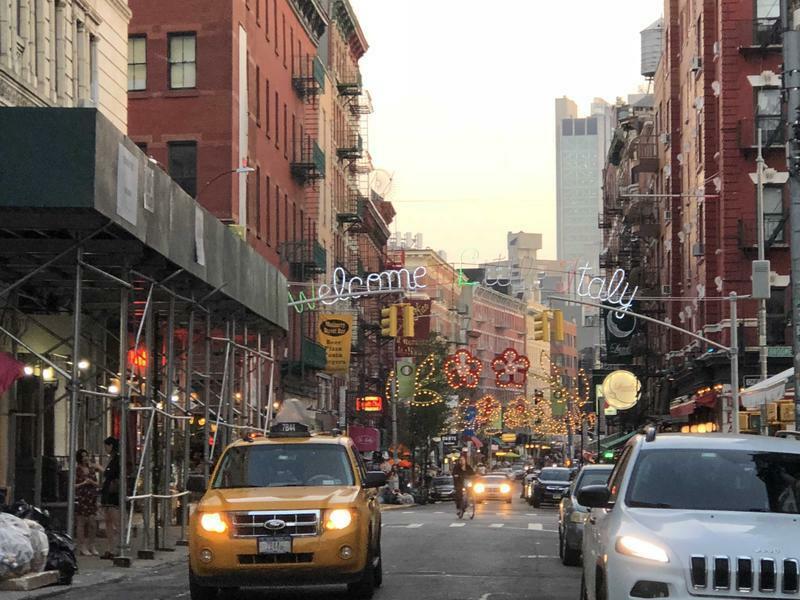 The New York Style pizza was developed to accommodate the personality and habits of New York City residents, many of which are still visible today! For example, the thin crust is crisp along the edge but soft and pliable under the toppings to facilitate eating wide slices while on the go, simply by folding each slice in half. 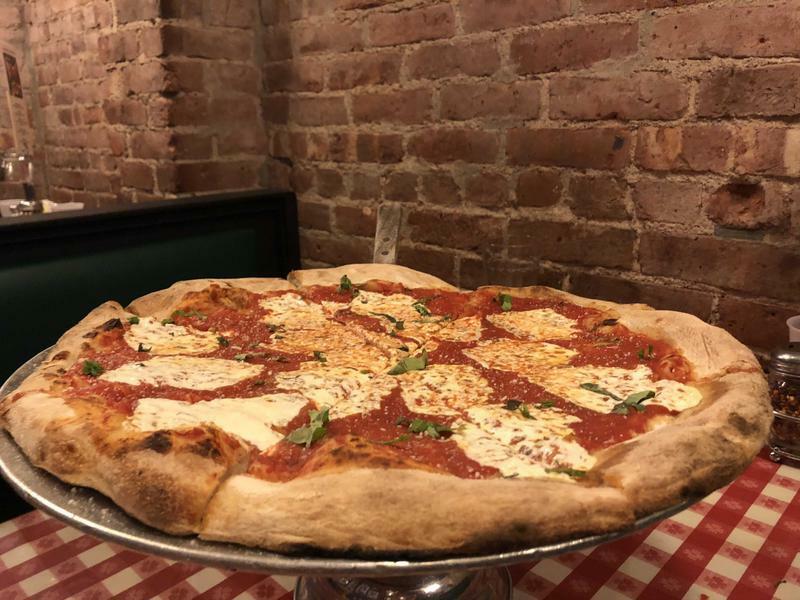 Lombardi’s Pizzeria, the country’s first, is THE must do NYC Pizza. Being the original you’d expect it to be the best and you’ll find that to be true. We recently stopped into Lombardi’s and had a fabulous evening. The staff and owners are extremely friendly and accommodating and you are made to feel instantly at home. While Lombardi’s specialty is pizza, their menu has much more to offer and we wanted to broaden our horizons a bit on this visit. In addition to a round of Peroni beers, we started with two appetizers, Grandma’s Gracie’s Meatballs and the Bruschetta on Rustic Bread. Both were fabulous! The meatballs were hearty with a smooth texture that melted in your mouth. 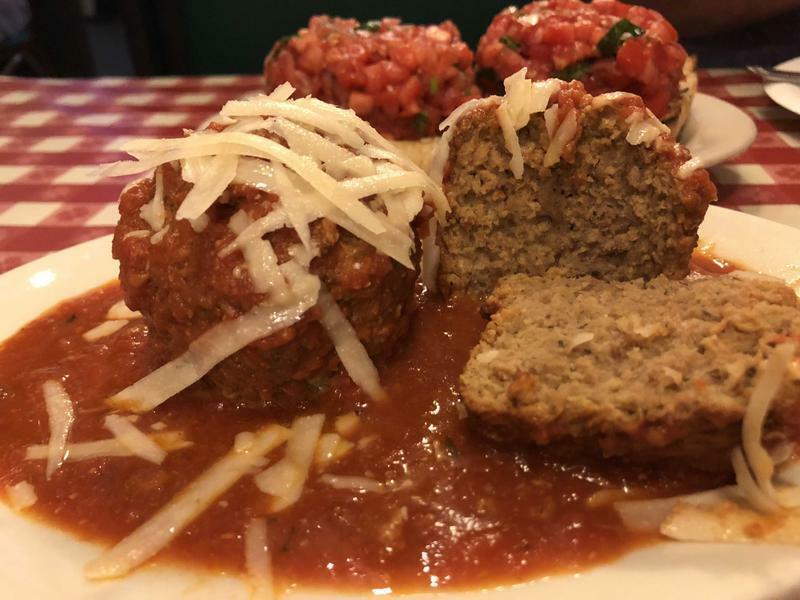 The “gravy” (tomato sauce) and shaved Romano Cheese were the perfect compliment to the meatballs and brought out every ounce of flavor! The Bruschetta was piled high with vine ripe tomatoes, onions, basil and grated Romano Cheese. It was extremely fresh and kicked the meal off with a bang! Click Here to View the Full Menu at Lombardi's Pizzeria NYC! For dinner, we had the traditional Original Margharita pie with whole milk mozzarella, tomato sauce, fresh basil and grated Parmesan cheese. The pie was fresh and hot and exceeded all expectations. Everything from the crust to the basil was perfect. We ate the whole thing! Lombardi’s offers a few other exceptional and unique pies as well as many salads, appetizers and calzones. When was the last time you had a clam pie? Lombardi’s is extra special and has limited availability. It features tender baby clams, garlic infused oil, grated Romano, black pepper and topped with fresh parsley and flowered lemon wedges. No sauce and incredibly delicious! 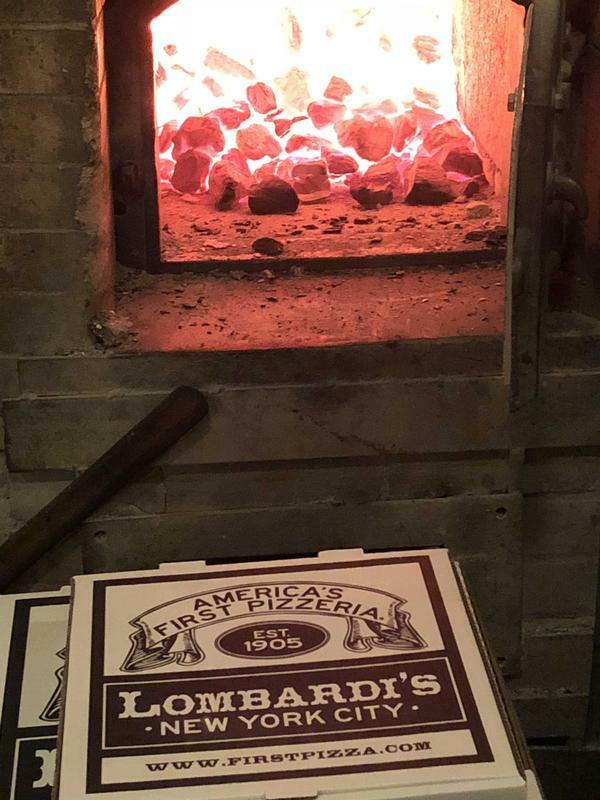 There are many things that make Lombardi’s special aside from being the first pizzeria. One of the most important ingredients is the love they instill in the process and it is apparent in the food…and the delivery! We also need to mention that that love goes back to 1905. They’re even using the same coal oven! Lombardi’s serves a heart felt meal to all who enter. That’s why they’re business has lasted as long as it has. A rare occurance anywhere but especially rare in an intensely competitive Manhattan. The locals here know and appreciate the real thing and will come back repeatedly to honor Lombardi’s quality and its history.